Usually when beauty trends emerge, it’s always a repeat of another season gone by. It’s just “reinterpreted” differently, as trend forecasters and beauty experts say. After reading a few articles on what the trending nails colors would be for summer, it was mentioned that a forest/khaki green would be all the rage. And of course, they give you suggestions on what to purchase. 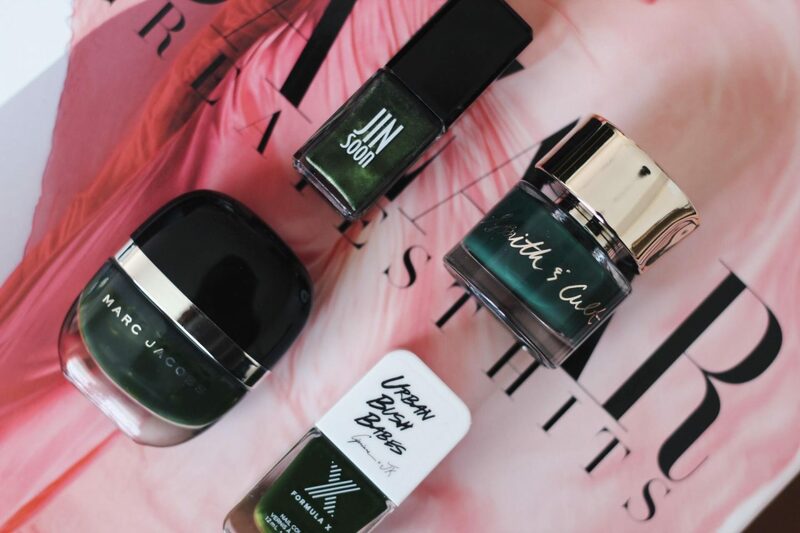 Rather than go out and spend money, I knew that I had a few green lacquers on hand that fit the season’s trend perfectly. So the next time a trend rolls around that catches your eye, check to see what products you have at home. More than likely, you have the perfect product and you can save lots of dough in the process.